Less than one week ago, I identified three potential vehicles for some long-overdue fiscal reforms to restrain the burden of government spending. In that post, I suggested that the “continuing resolution” was the best vehicle since lawmakers obviously would have to consider legislation to provide funding for the rest of the 2013 fiscal year. 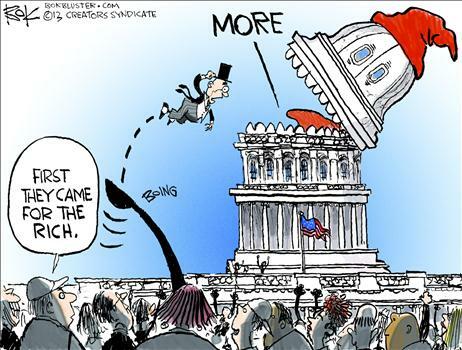 The debt limit, by contrast, creates too many opportunities for demagoguery. Geithner and Bernanke have already demonstrated, for instance, that they’re willing to prevaricate and scare financial markets. It’s much smarter to pick a fight on the “CR” since there not even a make-believe risk of default. 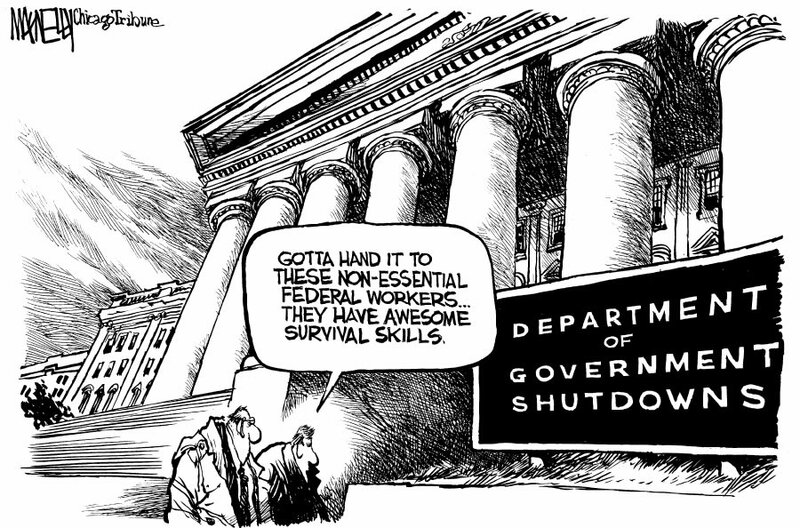 Instead, the only thing that happens is that the “non-essential” parts of the federal government are shut down. So I’m delighted to see that Ted Cruz, the new Senator from Texas, understands that the shutdown fight in 1995 led to very good results. I wrote a piece for National Review making the same point, so I’m delighted to hear someone else singing from the same sheet of music. Pay close attention at the 3:15 mark of this video. My only quibble is that he mentions the debt limit as the vehicle for the fight, when he should have mentioned the CR. But I’m nit-picking. Cruz seems to get it. He puts the focus on the disease of too much government rather than fixating on the symptom of too much red ink. He also understands that high tax rates discourage productive behavior, so he’s obviously not a fan of the President’s class-warfare approach. Last but not least, you’ll also see he gave a very strong response on protecting the 2nd Amendment immediately following his discussion of fiscal policy. Seems like there’s a chance he could be a second Rand Paul. The most-viewed post in the history of this blog is the “riding in the wagon” cartoon, but the post that has received the highest number of star-ratings is my video on class warfare. I hope that means people share my concerns about the destructive and punitive mentality of so many of the kleptocrats in Washington. Speaking of which, I debated one of those people on Bloomberg TV. We got a decent amount of time, so a lot of topics were discussed. Here are the ones that merit a comment or two. Stealing all the income of the rich wouldn’t be enough to finance big government, though I should have used the three-month figure Mattie Duppler shared in her video indictment of Obama’s tax policy. There should be a cap so that nobody has to pay more than 25 percent of their income to government. I actually think that’s far too high, but polling data shows that this is a good way of framing the issue. Our fiscal problem is an excessive burden of government spending. 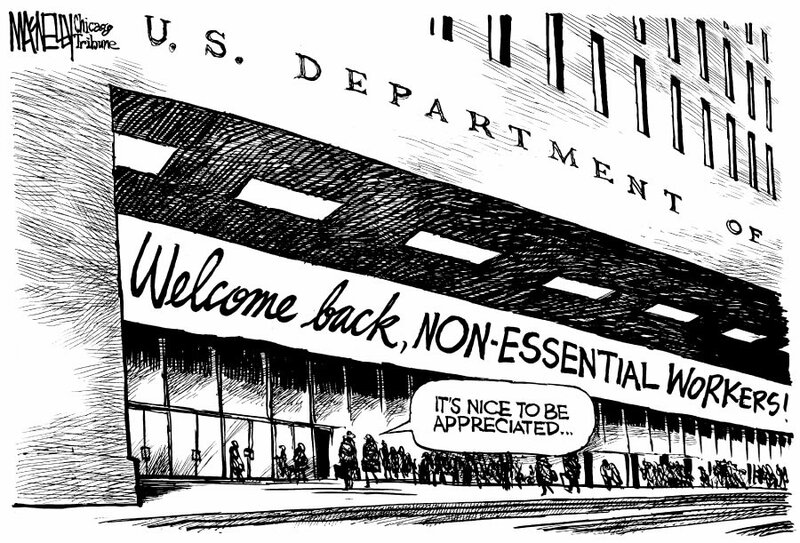 Entitlement reform must be part of the answer. My opponent says higher taxes are patriotic, so I guess he belongs in the same category as Joe Biden and Francois Hollande. I guess we’ll call them the Three Stooges of statism. He also claims that it would be “fair” to go back to Bill Clinton’s top tax rate, but anybody want to bet that Michael will now call for even higher tax rates now that Obama succeeded in pushing the top rate to 39.6 percent? And we definitely know he doesn’t want to go back to Bill Clinton spending levels, so he wants the bad part of the 1990s but not the good part. Michael asserts that the United States is a low-tax nation, simply because we don’t tax as much as Europe. But, given the economic stagnation and lower living standards on the other side of the Atlantic, why would anybody want to mimic those failed welfare states. Unsurprisingly, I make my typical point about how we can balance the budget if we merely limit federal spending so that it grows 2.5 percent annually. In other words, Mitchell’s Golden Rule leads to good results. But I do agree with Michael that payroll taxes are too high (not that this is what he really thinks), though I should have echoed my January 2 post and said that those taxes should be reduced as part of genuine Social Security reform. One point I failed to emphasize, though, is that class-warfare taxes won’t raise much revenue because of Laffer Curve effects. My comments about successful people escaping places like France and California touched on the issue, but I should have been much more explicit. P.S. Was I right, or was I right, when I wrote that the real national title game was played on December 1? Such a tragedy that Georgia fell four yards short of the championship. Since ‘Bama trounced Notre Dame by 28 points and edged Georgia by 4 points, I guess that means the Bulldawgs would have crushed the Irish by 24 points. Which would have been even more impressive than when we beat them 17-10 to win the 1980 national championship.